Crafted with the needs of intermediate Pipa players in mind, the Yayun Pipa exhibits bright tones with a delicate clarity for players to focus on tone and technique development. 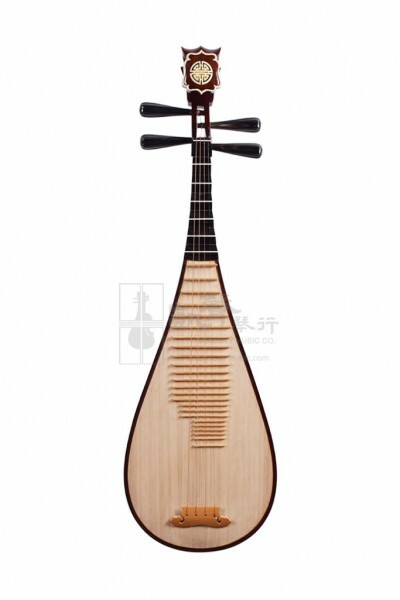 Made with Selected Fragrant Rosewood back and naturally air-dried Paulownia front, this Pipa possess a faster response and a stronger resonance. With bright trebles, mellow altos and pure bass tones, Yayun Pipa is ideal for Pipa players who would like to start performing onstage. It is also a popular choice among intermediate Pipa player who have mastered the basics and started to form their own musical character. The Pipa is elegantly polished and decorated with its Black Buffalo Horn pegs and neck. Comes with Case, Finger Pick, Adhesive Tape, and Spare String Set, this Pipa is ready for any student to pick up and play upon receipt.